The Weber Kettle is 65-years old. George Stephen invented his famous kettle back in 1952, while working for Weber Brothers Metal Works, located in Chicago. I was just a boy back then, so I personally don’t know the company’s history from day one, but I joined the company in 1971, so I’ve seen many years of challenges, triumphs and some failures too. 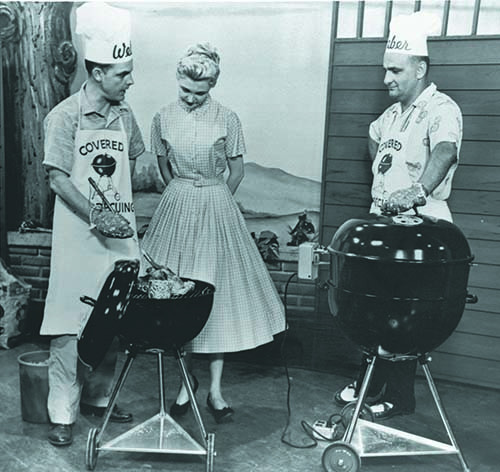 Back then, the Weber kettle was primarily known by barbecue enthusiasts in Chicago, and Milwaukee. As I traveled to Denver, New York City, Atlanta, Dallas or any city in the Pacific Time Zone, people would ask me what company I worked for. When I told them Weber-Stephen the maker of the Weber Kettle Grill, I would get blank stares. So the first challenge of my career, was trying to gain national retail distribution and awareness for our brand. It wasn’t easy because we were up against competitors with national distribution in retailers like Sears, Montgomery Ward, True Value and Ace Hardware. We settled on the crazy idea of demonstrating our kettle grills at stores across the nation, so people could see, firsthand, that our grills were superior to other charcoal grills. We cooked a lot of turkeys, because most people thought that turkeys were a challenge in an oven, and roasting one on a charcoal grill was jaw dropping. Those demonstrations worked, and within three-years, once reluctant retailers were volunteering for demonstrations across the USA. We gained national distribution and the enthusiastic endorsements from Weber owners spread brand awareness. That was a triumph, but we still could not overcome the seasonal nature of the business. Our balance sheet would look good in the summer months, but losses in the remainder of the year made it difficult to keep the company financially viable. Bankers would look over our finances and worry that we were a one-product company in a business where most sales occurred in 4-months. In order to make our business more financially stable we tried to diversify. We manufactured a line of mailboxes that looked great but people didn’t want to spend their money on mailboxes that would last a lifetime. We manufactured custom fitted fireplace screens, but that was long before FedEx, and people didn’t want to wait for a fireplace screen on those first, chilly nights of autumn when a crackling fire seems so inviting. We made plastic, fun figurines of famous characters, like W.C. Fields and bar décor like “Five O’clock Somewhere” plaques. All of those attempts at diversification were miserable failures to say the least. By 1984 Weber was well known in the USA, but we were selling mostly charcoal kettle grills and consumer preferences were shifting towards the convenience of gas grills. 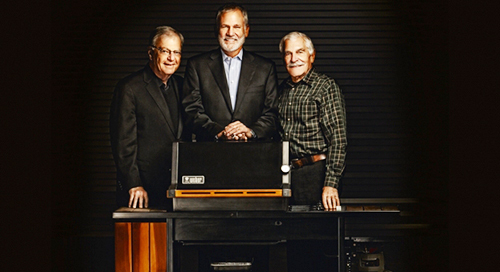 This development was a real threat to our existence and we decided to focus all of our energy and financial resources on developing gas grills that would cook as well as our charcoal grills. 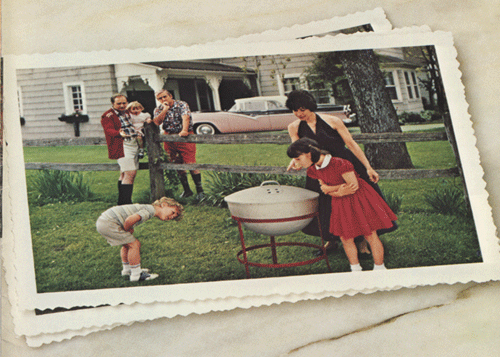 Most gas grills, sold in the early 1980’s, were very difficult to use without incinerating steaks and burgers. They also fell apart in two or three years. 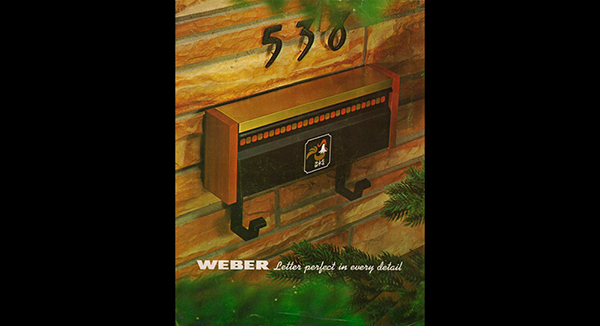 In 1985 we introduced the Weber Genesis line of gas grills, and they were the success we needed to literally save the company. We had a successful grill business in the USA, but we needed geographic expansion. The market had matured and we faced many more competitors all going after a slice of the pie. We took up the challenge of introducing our products in Canada, Europe, Australia, New Zealand and South Africa. I recall our very first tradeshow in Germany, and it was far from a success. I was demonstrating our classic charcoal kettle grills, but I was cooking pork roasts, because Germans did not have the tradition of cooking turkeys. Potential retailers would look at my Weber kettle and me and ask, “What’s that”. I responded it’s a barbecue grill as I lifted the lid to show off the roasting pork, and what I heard most often was “What’s a barbecue”. 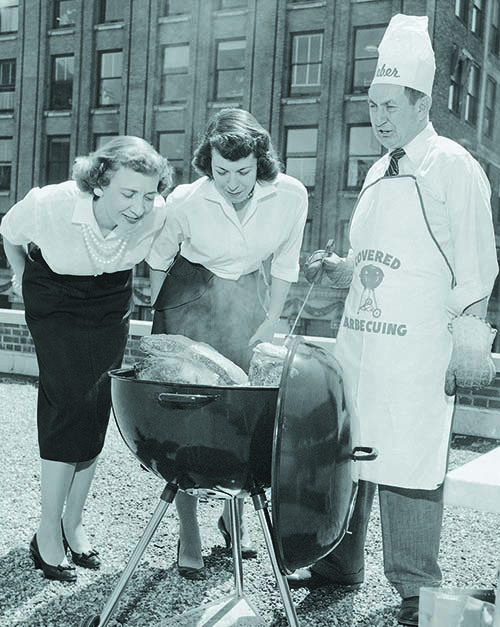 In Europe, we had the dual challenge of building a grilling culture as well as selling our product lineup. It took 20-years of retail demonstrations, developing Weber Grill Academies and many more efforts that have finally paid off. Weber is now the only brand that is sold in most developed markets around the world. Going forward, I am sure there will be many business challenges before we celebrate the 75th birthday of George’s invention, and I feel certain that we will meet those challenges and keep growing.